Week four proved to be one of the most action-packed weekends of the preseason yet. The two giants of TSM and Tribe were finally defeated, ending both of their perfect records. Most fans thought we wouldn’t see a loss coming out of these teams until they faced off during week five. The teams may have been a little too relaxed heading into these matches. They haven’t had a challenge so far, so it is interesting that they lost when they did. Surprisingly, our power rankings don’t change too much after this weekend’s matches. TSM and Tribe had some hard-fought games and still sit with the top overall records. We also received some help from you—the Vainglory esports fans—on Twitter. Let’s take a look at the current power rankings for NA after week four of competitive play. TSM came into week four with one match up on Saturday. They were up against a Rogue team that have had their ups and downs. TSM was not prepared for Rogue to come out swinging like they did. At one point, Rogue had a 9k gold lead over TSM. Rogue did throw a bit, which almost cost them the game. TSM retook the gold lead at the 17-minute mark to find themselves up 15-5 in kills. The fact that TSM couldn’t finish the game after they came back was surprising. They fell to Rogue by a backdoor from Sibs and eVoL. Later on Sunday, TSM faced off against Tribe in the championship of the North American Champions League. TSM was able to take Tribe down 3-1 with a controversial game two. This leaves them at the top, until they face off in the upcoming week five. Who should be #1 in our #VPL power rankings following this crazy week four? As mentioned in the introduction, TSM wasn’t the only team to take a surprising loss this past weekend. Tribe was up against the squad from Nova, who can be very difficult to beat if the team is working together. Tribe went with some interesting draft picks that may have worked if played in their win conditions. Unfortunately, Tribe was losing their respective lanes against the hard carries from Nova, which led to their eventually downfall. Tribe didn’t let the loss affect them too much, as they bounced back on Sunday against Slimy Salamanders with a big win. Vyzeox seemed disappointed with their draft after the match. Nova had their biggest week of the VPL preseason yet by defeating the unbeaten Tribe on Saturday. This win was big for Nova and proved to the team that if they play on the same page, then they can compete with the top two teams. Truth and StartingAllOver seem to be taking turns dominating each game. My co-host, CrudeSloth, and I sat down with some of the guys on Nova in an interview coming out later this week about their big win. StartingAllOver actually thought their draft was weaker than Tribe’s and didn’t think his Kestrel would work into the composition they drafted. Luckily, Truth on the weapon Vox was able to scale really well into the late game, which allowed him to finish 5/2/5. Truth’s Vox won some important late game team fights that led to their victory. On Sunday, SAO proved that he can dominate by going 12/1/4 on Celeste in a big win against Hammers. They will stay in the third position. Vision had a tough match up in week four against a Tilt Rehab team whose matches are averaging around 23:00 minutes. 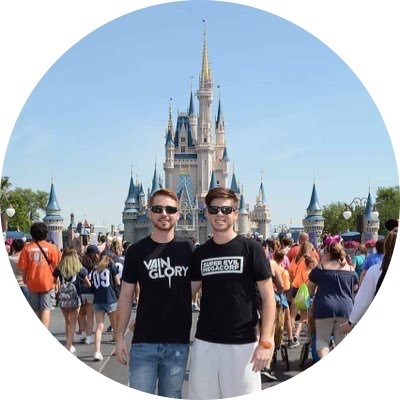 Vision is a team that is really rallying behind the performances of LightningT and PvPWarrior. They started out slow against Tilt, but scaled their way into the late game. Team fights were going both ways, and it was definitely a match that could have gone either way. It ended 18-14 kills in Vision’s favor with them taking the win. Vision seems to be getting better and better each week, and with their win over Rogue in week three, they stay right above them. Rogue has been a team that received some criticism from the rankings the last two weeks with the team dropping a few matches that were unexpected. As mentioned above, Rogue was able to take down the number one team in week four. This was a big win for them, but it wasn’t an easy one. They almost threw it away, which showcased some of the issues still present in the macro play coming out of Rogue. They lost a 9k gold lead, which is pretty impressive in its self. We also saw our first look at a new captain player for Rogue, LaVar, who made some surprisingly great plays. Their loss to Vision in week three will keep Rogue right behind them in this week’s power rankings. The five member team that discussed this week’s power rankings were pretty split between the 4/5 spot, but we couldn’t give a tie out. Dropping their third match in a row, Slimy is struggling with roster issues. PEC0 isn’t playing anymore and Status has been on and off. The team doesn’t perform as well without Status to make some big plays. They were up against a Tribe team that just lost on Saturday, so they knew they were going to have an uphill battle. Slimy will look toward the last weekend to try and finish 4-3 before heading into season one of the VPL. Tilt Rehab’s goal of finishing the preseason undefeated started off great on Saturday with a win over Hammers. esmei played really well and is a crucial part of the team. Heading into Sunday against an improving Vision, Tilt needed to be on their A game. Unfortunately, they were without esmei, so coach/sub Pajama filled in for him. Pajama played a weapon Kestrel, which is different than the normal route a lot of the pros have been playing her. They just couldn’t play as a unit, as Vision proved to be the better team on that day. It seems we will see Rehab stay bottom three with only one week left of play. Hammers went up against Tilt Rehab and Nova in week four. They fell in both matches, as Hammers continue to struggle. They have one week left to avoid the goose egg. BlueStacks looks to continue to improve as a mid laner. starboi is looking for the right team synergy to lead Hammers in the right direction. The return of Chicken may perhaps help change things up for the team. 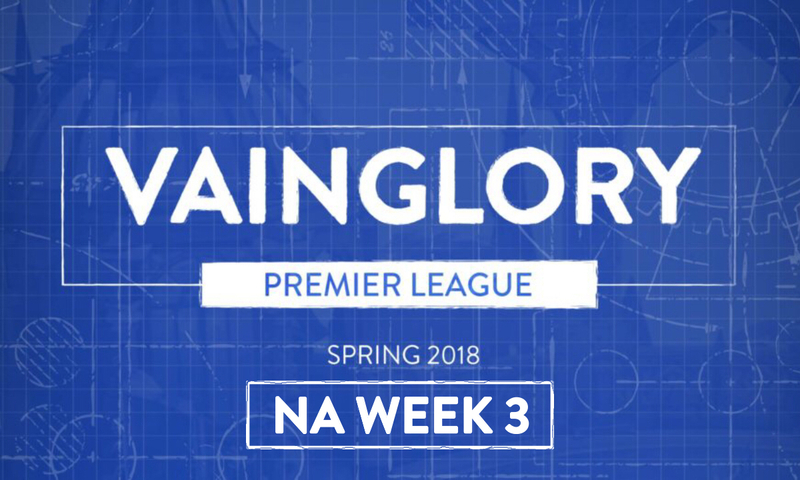 Week five will wrap up the preseason of the very first Vainglory Premier League. TSM and Tribe got a good look at each other in the NACL and will get one more match on Saturday. Nova looks to end 5-2 and Rogue aims to prove that they belong in the top five with a win over Tilt Rehab. All NA action starts Saturday, May 5th at 11AM PDT on the official Twitch channel!